Synopsis: Life is just time spent between bouts of self-pity and his next drink for Dirk Crandell, a salty small-town newspaper writer. Then an intriguing letter crosses his desk from a young woman in LA. What follows for Crandell is a life-changing series of twists and turns as the promise made to the young woman in the letter leads him into a web of conspiracy, deception, and deception. As he delves further into this small town’s sinister series of events, some going back twenty years, he begins to unravel a cover-up of deadly proportions. Joining forces with his seductive managing editor, Kristen Harden, he discovers not only that Looks Can Be Deceiving but hazardous to your health as well. About the Author&colon; During his thirty-year career as an auto worker, Jim dabbled at several different writing genres. These included several joint GM/UAW publications and some hometown newspaper public relations work with the United Way. 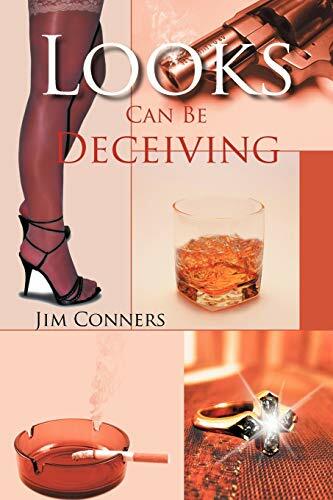 Looks Can Be Deceiving is his first attempt at a novel. Several years in the "I know I have a novel in me" stage, he finally completed this mystery/crime manuscript. Jim lives with his wife and best friend, Pat Smith, in the Wilmington, North Carolina, area with Fred, their rescued cat. Both are very supportive of many animal rights and rescue organizations.